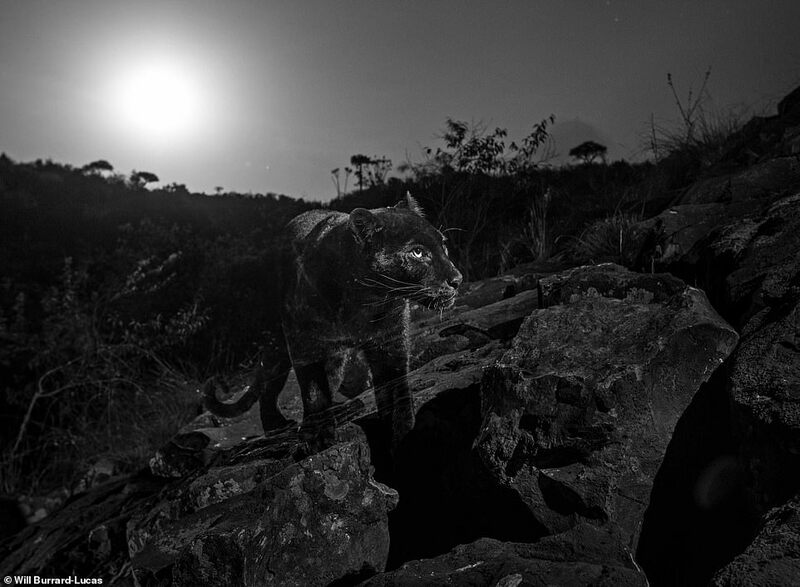 The mythical creature was captured by British wildlife photographer Will Burrard-Lucas, 35, while it was prowling around the plains of Kenya in the dead of night with a full moon looming above. This is the first time that one has been caught on camera in Africa for 100 years. This genetic variation, the opposite of albinism, results in an excess of dark pigmentation. After learning that several had been spotted in the Laikipia area of Kenya, he decided to investigate further and set up an expedition this January. 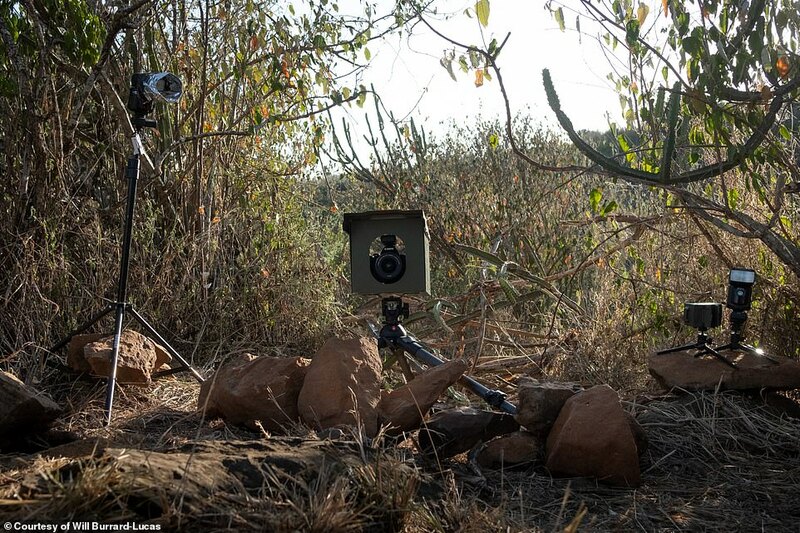 Working in collaboration with biologists in the area, Burrard-Lucas went about installing camera traps. 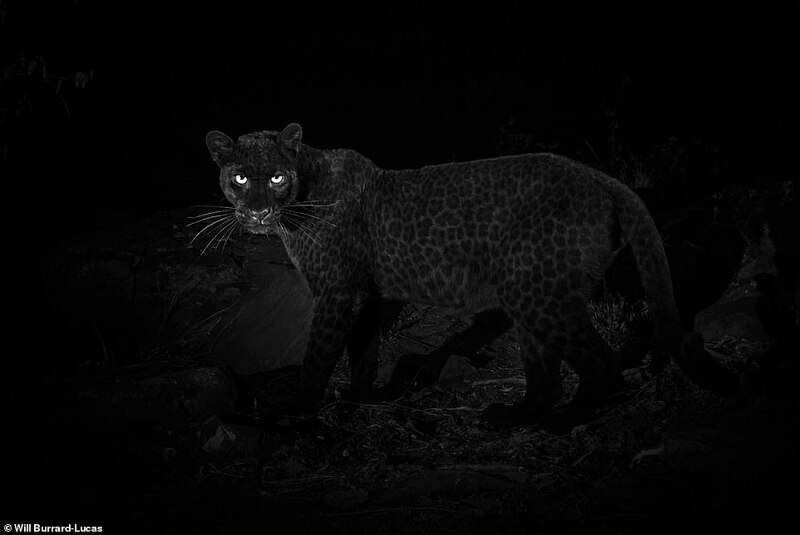 These were placed in areas the black leopard was rumoured to frequent. 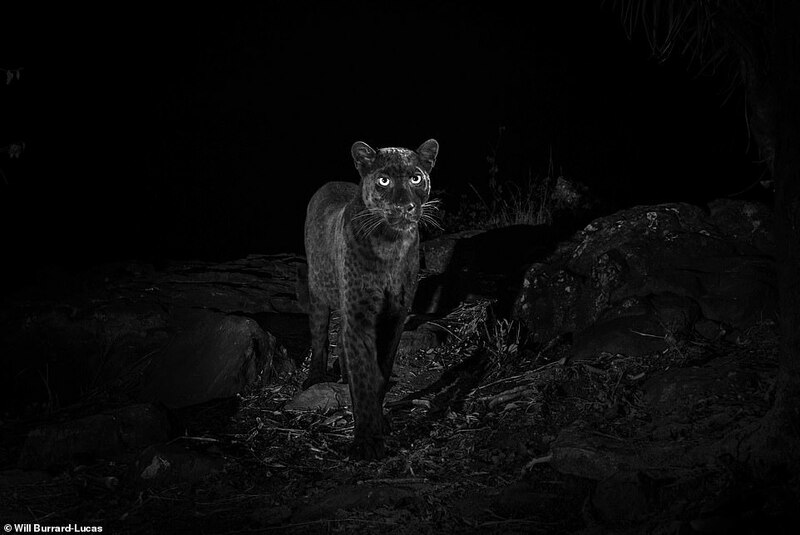 Recounting the moment via his photography blog, Burrard-Lucas writes: 'As I scrolled through the images on the back of the camera, I paused and peered at the photograph below in incomprehension… a pair of eyes surrounded by inky darkness… a black leopard! Nicholas Pilfold PhD, a biologist with San Diego Zoo Global who is currently researching leopards at Laikipia's Loisaba Conservancy and helped Burrard-Lucas with his photography project, confirmed that the recent on-camera sighting was extremely rare. 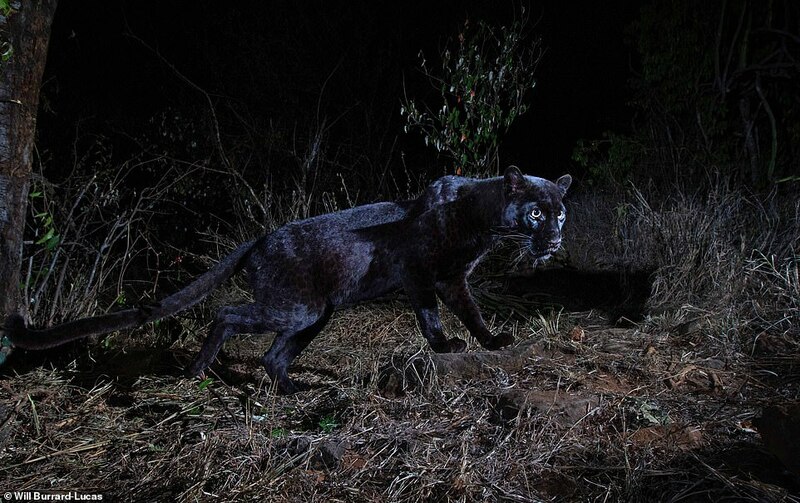 Most recorded sightings of black leopards have therefore been in the forests of Asia. 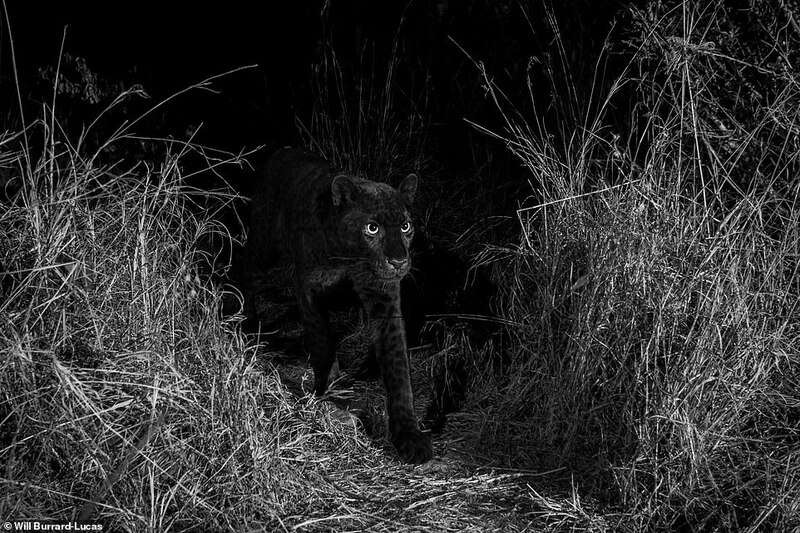 In Africa, however, melanistic leopards are extremely rare. 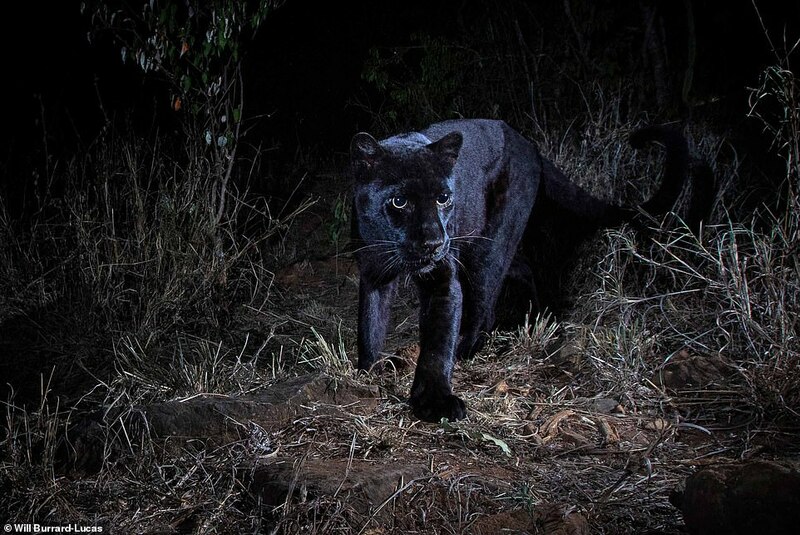 The big cat that he captured was confirmed as a juvenile female, travelling with a larger normally coloured leopard, thought to be its parent.